In front of the 71 Nyhavn Hotel in Copenhagen. Bjørnsholm is a party ship that was built in the Netherlands as a Logger in 1916. She has a riveted steel hull. In 1974 she was converted into a passenger ship and enter the so-called "smørbåd" in Germany until 1984. After another renovation she became a tour boat of the fjord from 1987- to 1990. 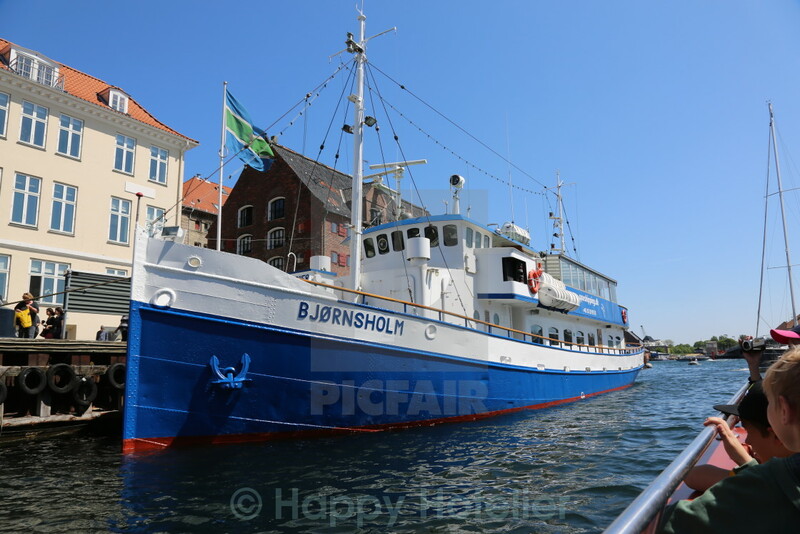 At the end of 1990 Spar Shipping bought the ship, Bjørnsholm can carry 170 passengers. When dining on board up to 140 guests all can have an unobstructed view of the water. The home port of the ship is in front of the numbers 69/71 Nyhavn, Copenhagen.